E-US-VISA and Law Offices of Marina Shepelsky, P.C. 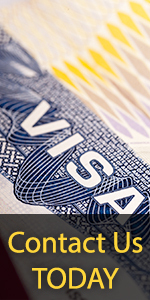 's skilled and experienced immigration attorneys will analyze your case, prepare your case with precision, and file all required forms and supporting documents for spouses and children of O-1 visa & O-2 visa holders applying for the O-3 visa. Spouse and children of O-1 and O-2 visa holders who wish to visit the principal visa holder in the U.S.